Underneath This was excited to interview Miss Alex White from the band White Mystery. Before reading the interview that follows, please read more about the band from their self-penned bio and check out their new video “Dubble Dragon” from their double album of the same. 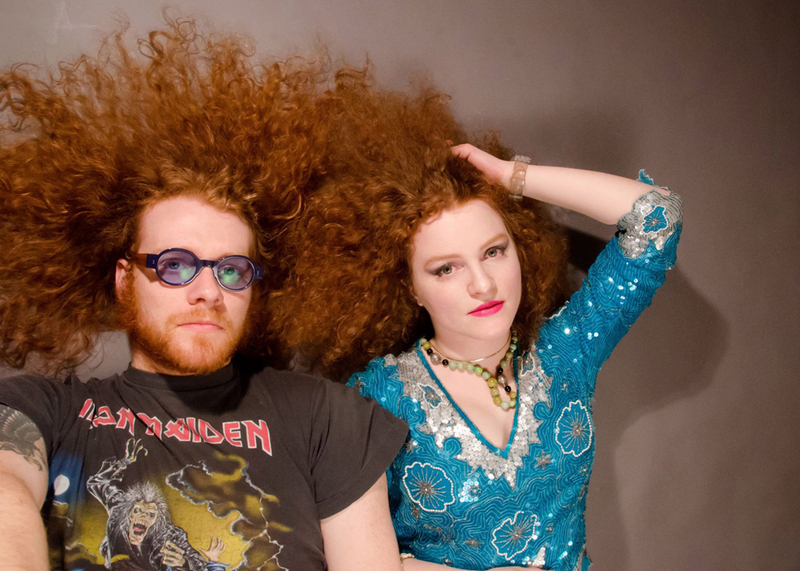 White Mystery is a brother-sister rock’n’roll duo Miss Alex White & Francis Scott White from Chicago. The siblings have toured 15 countries worldwide, earning rave reviews from MTV, VICE, Sound Opinions, Pitchfork – and currently represent Levi’s #equipped. Expect their fourth annual full-length, self-released double album, DUBBLE DRAGON, on April 20th, 2014. White Mystery’s fourth studio album and a blistering live performance come together into a “DUBBLE DRAGON,” a 20-song Rock & Roll epic, weaving together their signature non-stop energy with heroic poetry and fantastical elements borne from the telepathic minds of Miss Alex White and Francis Scott Key White. Directed and produced by Alxis Ratkevich & Chris Newton, the epic new music video for White Mystery “DUBBLE DRAGON” guides you around Chinatown in Los Angeles, to a mystical shop (hosted by legendary drummer Don Bolles from The Germs and 45 Grave), into a psychedelic performance by the brother-sister rock’n’roll duo; all through the eyes of a young boy, Tomek Adler. Miss Alex White & Francis Scott Key White are launching their European and North American tour; see the shows here: http://www.whitemysteryband.com/shows. Please describe your path to becoming a musician and forming “White Mystery.” How did you develop this name? I saw a shiny candy wrapper on the sidewalk on April 20, 2008 that said “White Mystery — OUT OF CONTROL!” That was the day we decided to start a band. Working with my brother Francis Scott Key White in White Mystery is a spiritual experience. He’s poetic, sensitive, and strong, which makes for really interesting songwriting along with lots of adventures around the world. When I listened to your album, “Blood and Venom”, I got a punk, riot grrrl feel, for example on your song, “Good Girl.” Your subsequent album, “Telepathic” felt somewhat more rockabilly. How do you characterize your style and who have been your influences? How will your next album compare to the previous records? White Mystery “Dubble Dragon” is a double album, which is a step up from the first three albums. It’s recorded incredibly live and contains secret messages. What was it like playing at South by Southwest this year? ← Interview: Matt Howard of The Lion of Tallasi!